Bojangles' nod to the popular fish sandwich around this time of year is the new BojAngler. 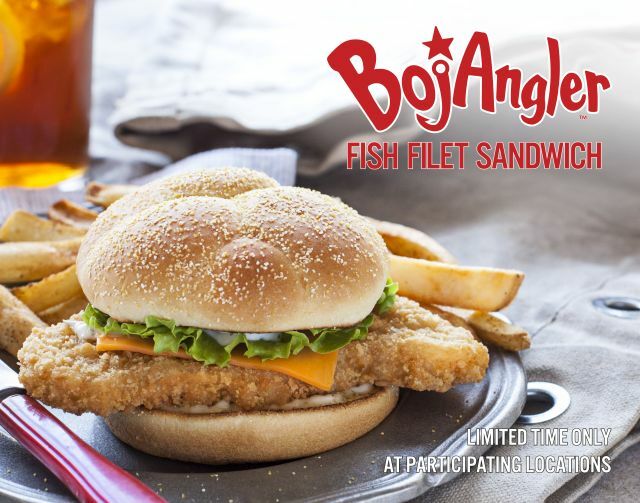 The fried fish sandwich features a crispy-fried Alaskan Pollock filet sprinkled with Bojangles' signature seasoning. The filet is paired with lettuce, a slice of American cheese, and tartar sauce on a toasted, buttered bun. You can find the limited-time offering at participating Bojangles' restaurants through March 27, 2016.